Why use the Rent & Rent bike hire scheme? 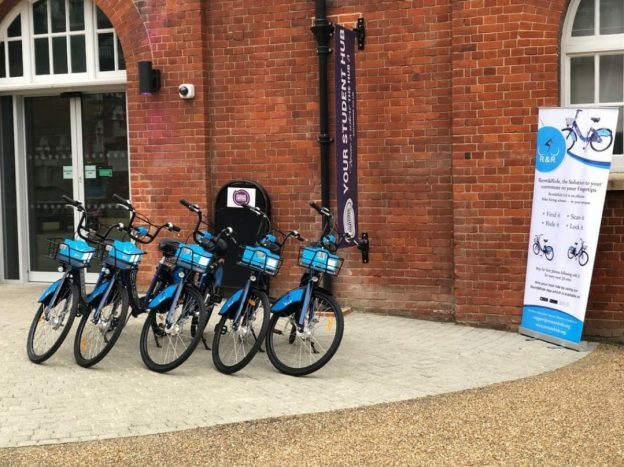 Rent & Ride (R&R) are working in partnership with the University of Kent to provide a bicycle hire scheme at Medway specifically designed for students and staff. Simple booking and registration– All you need to do is download the R&R app on your smart phone and register. Once you have registered you can easily start your ride by hiring the nearest bike to you. Easy to ride and park– You can end your ride at any time by parking and locking the bike in any cycle rack in one of the operational areas below (that does not obstruct traffic or violate any law). Budget friendly– The cycle hire scheme is an affordable way to travel between and around the campuses at Medway. Comfortable– R&R is a customer-focused bike hire scheme, with comfortable seats, well-maintained brakes and hardware. The bikes can also be easily adjusted. Where are the operational parking areas? You must park, lock the bike and finish the trip within one of the three operational areas. Failing to comply may result in a charge. We are awaiting confirmation from Rent and Ride on the exact operational areas. This entry was posted in News and tagged bike hire, cycling at medway, R&R, Rent & Ride, Rent and ride on February 5, 2019 by Miriam Sandiford.